King Kutters XB Angle Frame Disc features a heavy angle iron frame construction, 1in. square high carbon steel axles, sealed cast iron bearings and adjustable axle angle settings. 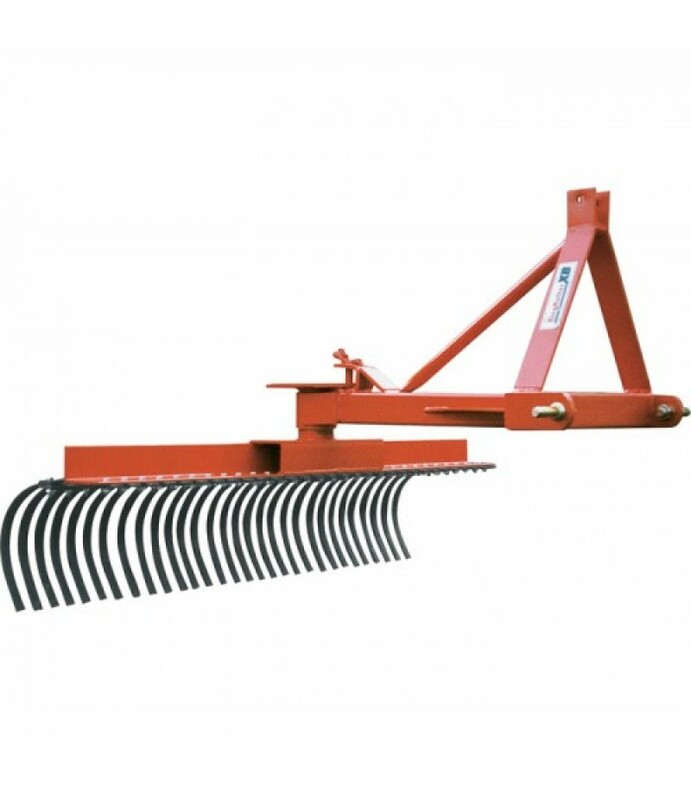 A field-ready disc harrow thats built to last. Tru..
King Kutters XB Finish Mower is built with the quality and features that will make your lawn the envy of the neighborhood. 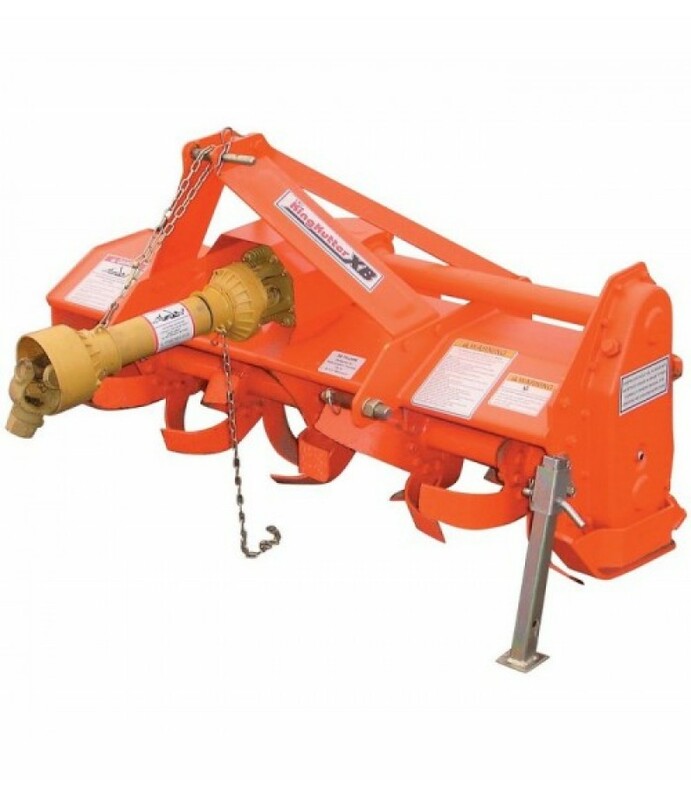 Mowing has never been easier because of the free-floating flex hitch system, which allows the mower to foll..
King Kutters XB Middle Buster/Subsoiler Combo combines strength and durability to offer a tool with many uses. 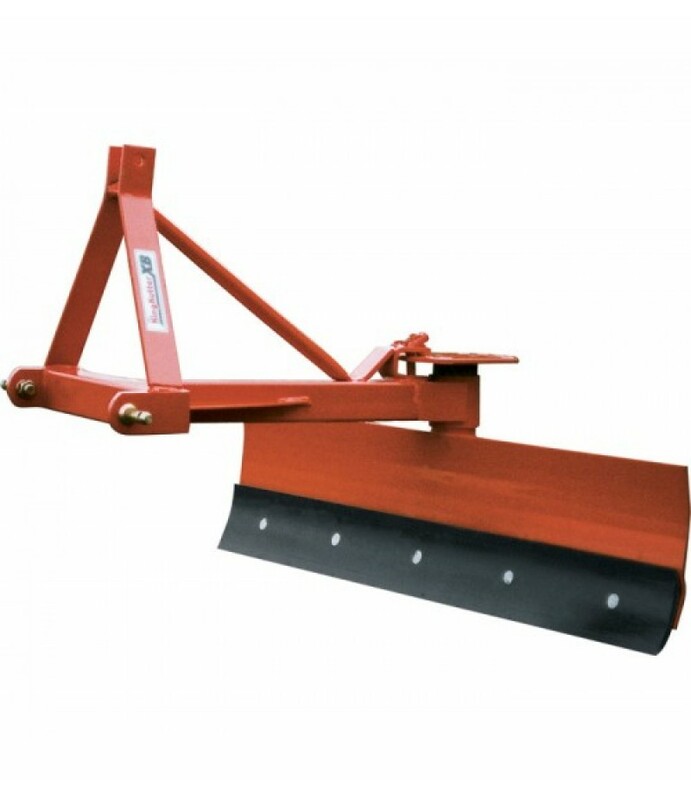 The middle buster point is great for laying off rows, digging potatoes, pointing a ditch and for general field prep. 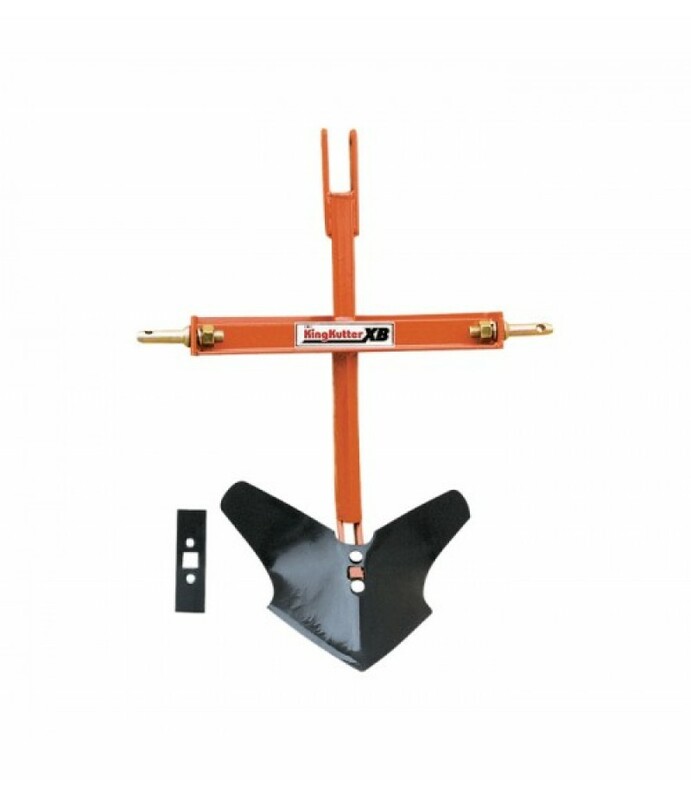 Su..
King Kutters XB Rear Blade is designed for road grading, landscaping, snow removal, cleaning livestock pens and more. 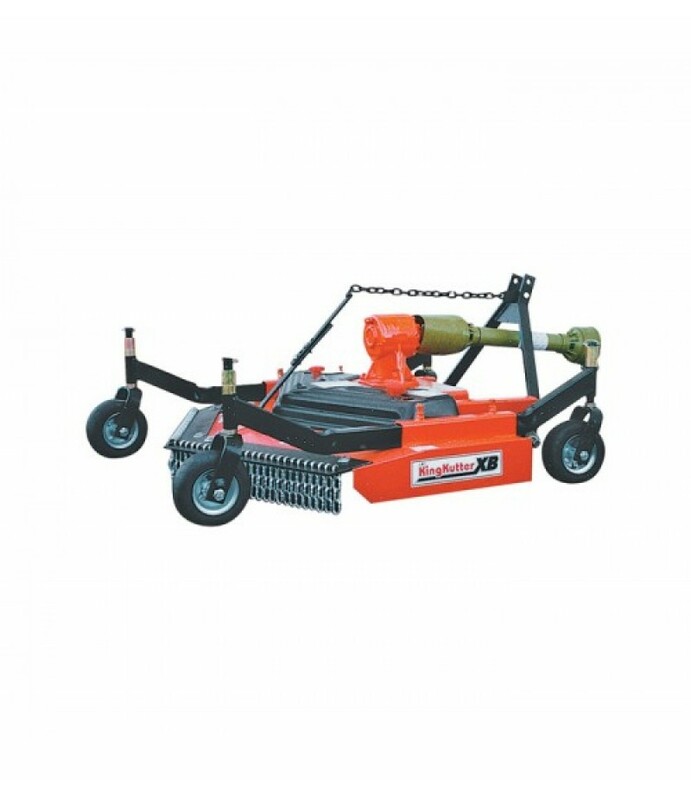 Each moldboard is equipped a high carbon steel reversible cutting edge that adds to the life of the blade.What's..
King Kutters XB Rotary Tiller is designed for use with sub-compact tractors up to 25 HP. Adjustable shoes control cutting depth while rear shield controls soil mix. 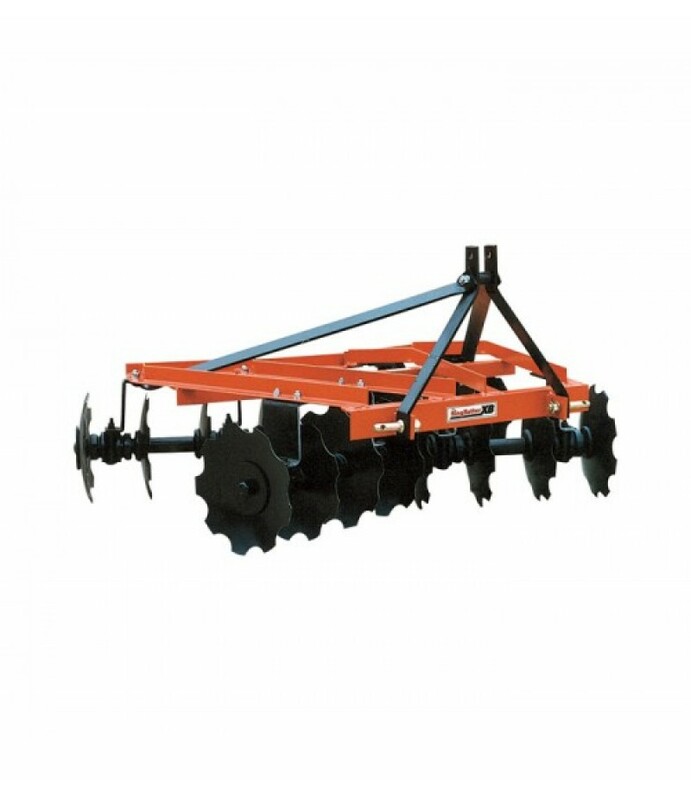 This tiller is a must for vegetable or hobby farmers, landscape c..